In The Greatness of Saturn experience directly the healing power of one of the world's great myths. Telling of mythic stories has always been a powerful form of therapy, bringing healing to people facing adversity. 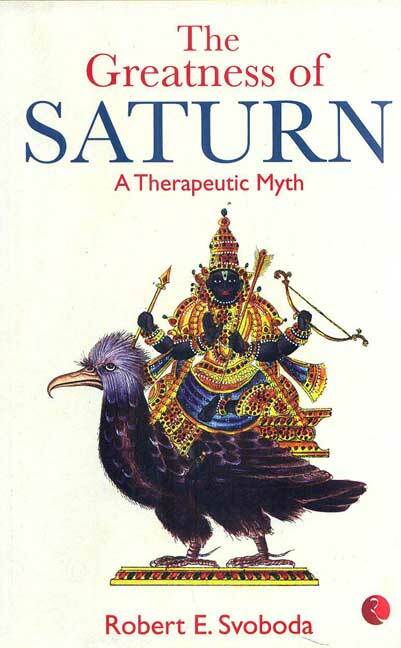 The Greatness of Saturn is such a therapentic myth, told and retold through many centuries. Taken from the East Indian Vedic tradition, it honors the centuries. Taken from the East Indian Vedic tradition, it honours the planet Saturn. who personifies time, limitation, loss, and all forms of adversity. No person goes through life without sometime bieng thouched by Saturn. This book presents a classic Saturn story, and a clear view of the cosmology from which the story came. as we hear the story and come to understand its context, we experience a deeper understanding of what it means to be human.